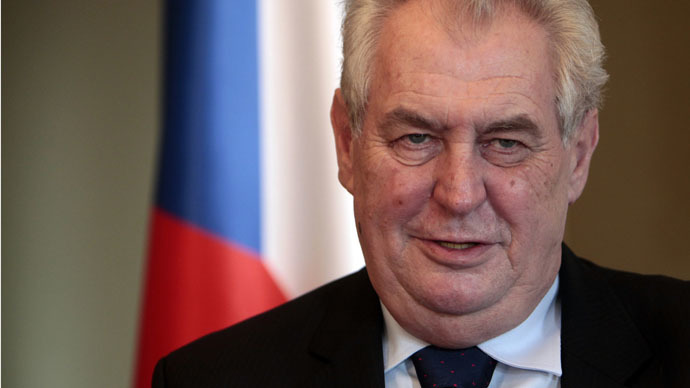 Czech President Miloš Zeman has blasted Norway’s foster care system, comparing it with Lebensborn, the Nazi Germany’s program to ‘breed true Arians’. Norway takes children and strips them of their national identity, he said. Zeman was expressing anger over the case of two brothers taken from a Czech couple and placed into foster care. The Michalákov brothers were removed from their parents’ custody in 2011 after one of them told a nursery teacher that his father had “groped inside his pajamas,” according to Norwegian online newspaper Nettavisen. No charges were ever brought over the incident, but Barnevernet, the Norwegian child welfare system, took the kids and had them adopted into two separate foster families. The children’s parents have since divorced, but their mother Eva is fighting a legal battle to regain custody of them. Commenting on the case for Czech newspaper Blesk, Zeman accused Norway of following the example of Nazi Germany in how their foster care operates. Lebensborn was a state-sponsored organization that encouraged single mothers of ‘racially acceptable’ blood to secretly bear children from equally ‘pure’ fathers and hand them over after birth for adoption. Foster families raising the children often came from members of Schutzstaffel, the infamous Nazi paramilitary criminal organization, which initiated the program. In addition to raising German children Lebensborn was given custody of children captured in foreign nations, including Russia, Ukraine, Czechoslovakia, Romania, Estonia and Latvia. The majority of kidnappings were committed in Yugoslavia and Poland. The goal was to raise the abducted kids as ‘true Germans’. Zeman’s comparison of Barnevernet with the infamous Nazi program is provocative and hyperbolic, he conceded in the interview, but still Norway’s approach has "certain elements common" with Lebensborn. Ketil Moen of Barnevernet said Zeman’s comparison “is completely unreasonable,” and thus he wouldn’t comment on it. Eva Michalákova is far from being the only person fighting to take back her children from the Norwegian authorities. Citizens of Poland, Russia, Lithuania and other nations found themselves in similar situation, and accused Norway of abusing authority and ruining families. The Lithuanian Foreign Ministry even published guidelines for their citizens living in Norway on how not to draw unwanted attention from the Norwegian authorities, Russian newspaper Rossiyskaya Gazeta reported. They advise against quarreling at home too loudly and suggest explaining to kids that they shouldn’t tell at school if their parents hold large parties at home, since both can be interpreted as subjecting children to a bad environment. In October last year, the eight-year-old son of a Russian couple was removed from their care after telling his classmates that his mother had yanked out one of his baby teeth. The mother said the already loose tooth came out when she helped her son pull off a T-shirt, but Barnevernet accused her or domestic abuse and removed the boy from her care.